CMHC rules forcing clients’ hands? One broker believes clients will have to turn to high interest loans as a result of refinance loan-to-value limits – and that these high interest loans may become more ubiquitous as a result. According to Lozinski, a number of U.S.-based companies specializing in high rate refinance loans were popping up across Canada before the economic downturn forced them back out of the market. However, he fears they may return as economic conditions continue to improve south of the border. Lozinski also points to Citi Financial’s high interest personal loans as one of the options certain Canadians must consider due to the government-sanctioned LTV restrictions for refinances. According to Citi Financial’s website, it offers personal loans up to $20,000 at rates that range from 24.99 per cent to 35.99 per cent on 60 month terms. 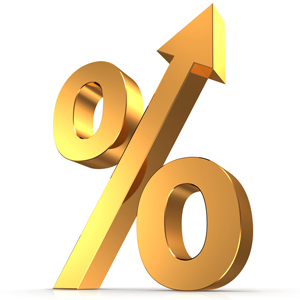 Refinances dropped by 40 per cent in 2011, as a result of mortgage rule changes. More recently, the Crown Corporation conducted a survey of 3,510 recent mortgage consumers and determined that 20 per cent had refinanced their mortgage. For his part, John Greenlee of the Mortgage Centre believes there are still options for clients who require higher than 80 per cent LTV refinance. Close one valve and the water will run out another. Reports say Canadians are carrying more and more debt? What did you think would happen? High interest debt consolidation loans and more use of Credit cards. The economy is recovering??? For who? Corporations that's who....regular everyday people are still struggling to keep up with the costs. Yes some people really do need to refinance for legitimate reasons, and they are the ones getting caught having to take out the high interest loans, to pay off the high interest credit cards. Go ahead and beat them over the head for being irresponsible with debt, but you know its true, the debt creep happens to even the best of us. I don't know why this issue is being reported as a recent news. Limiting refinance to 80% happened a few years ago. It was a very ill advised decision of our regulatory bodies. It forced borrowers to go to alternate sources at prices which range from 12% to 35% including broker and lender fees. A 30k second mortgage may have 12% interest ,2500 broker fee,2500 lender fee and 2000 legal fee for a total arrangement cost of $7000 which 20% for a 1 year loan. Add that to the 12% interest and we have a deal with 32% effective interest rate. The borrower could have obtained that at single digit discounted rates under the old rules. Lets get the "big brother" to back off a bit and allow free enterprise to function. Ad Lakhanapal i think that big brother has backed off. There is nothing stopping the other two insurers allowing refinancing to over 80%. Ask yourself why genworth and canada guaranty do not offer these options . It probably is the same reason that cmhc has decided to tighten the belt. i think that there will be alternative lenders popping up like john lozinski suggested. And they are a welcome addition to the market.